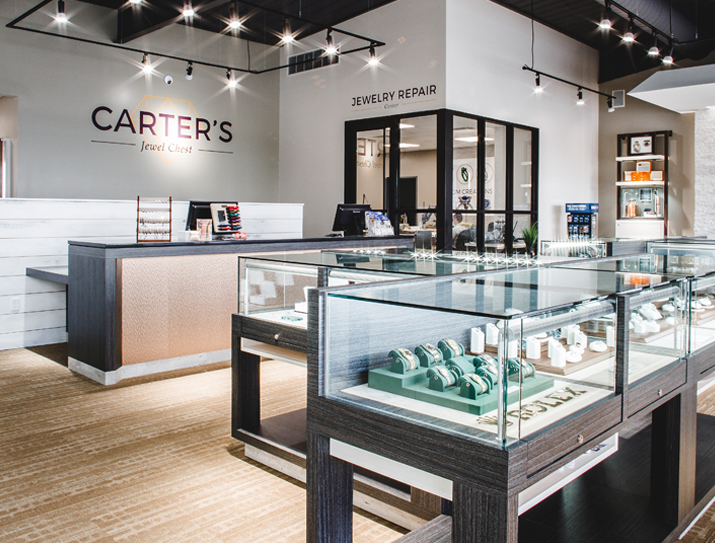 Carter's Jewel Chest has been North Central Arkansas' diamond and jewelry source since 1976. We specialize in diamonds of all sizes and shapes. As an Antwerp Diamond Broker, we will go halfway around the world to hand-select the right diamond for you. In addition, to the sale of fine diamonds and jewelry, we also provide custom jewelry design and repair, appraisals, and engraving. Our highly qualified staff has over 200 years of combined experience and includes two Graduate Gemologists, a Certified Gemologist, and one Goldsmith.